The Golden Bronze Society is the Sigma Alpha Mu Foundation's society that recognizes undergraduates who make a donation supporting the Foundation. The funds raised through the Golden Bronze Society are used to support educational programs and scholarships benefitting both undergraduate members and chapters. This voluntary initiative and participation allows undergraduates to influence the future of Sigma Alpha Mu. For a donation of $20.19 – Membership in Golden Bronze Society, ribbon at Convention & Lapel Pin to wear at Convention, Chapter Leader's Day and other national and regional Sigma Alpha Mu events. For a donation of $150 – All the above and a personalized Supreme Prior's Club paperweight & lapel pin. 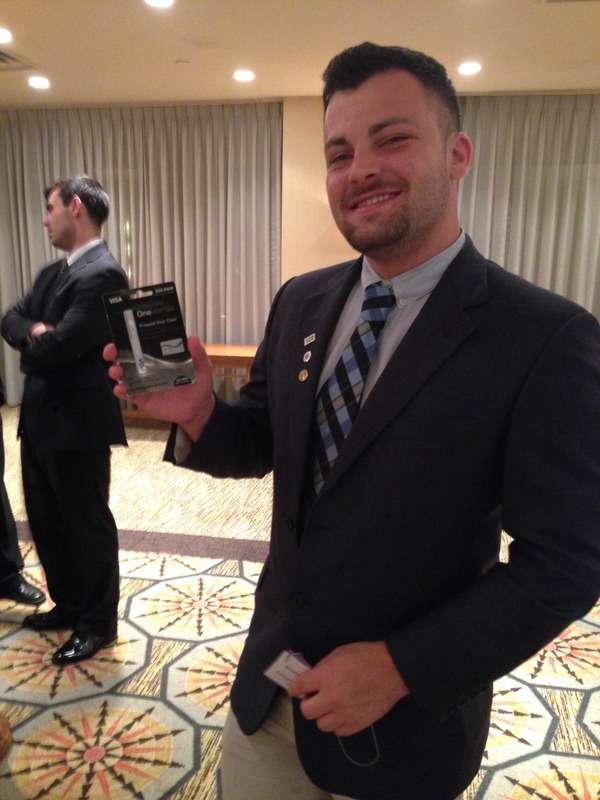 2015-16 Golden Bronze member Chris Walrath (Hofstra/Delta Alpha) with a gift card donated by a Foundation director. 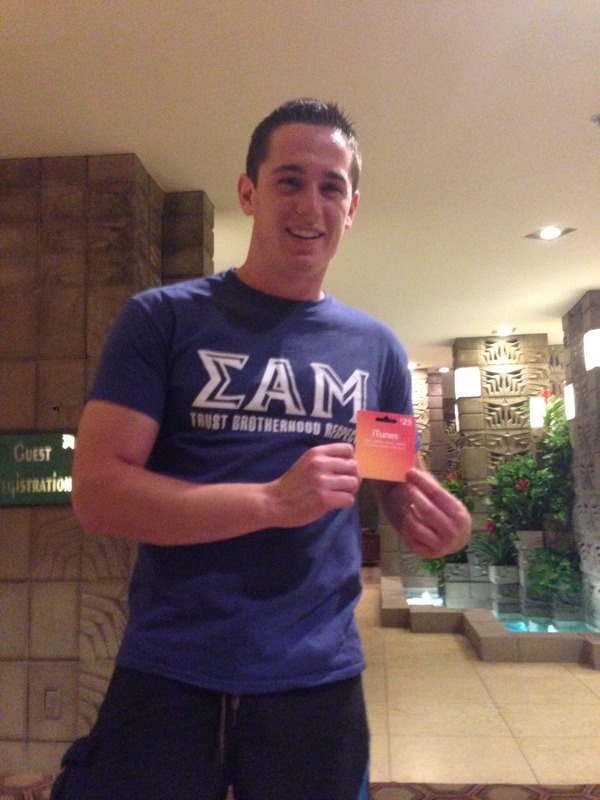 2015-16 Golden Bronze member Michael Wilder (Northern Illinois/Gamma Lambda) also with a gift card donated by a Foundation director.